A pilot study suggests that surgical success in this setting may need to be redefined to include neuropsychological outcomes, which can perhaps be improved over results with traditional surgery. 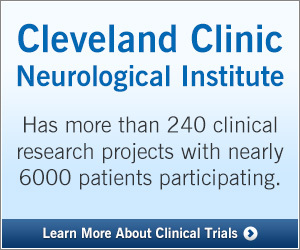 Patients who underwent an extended bifrontal approach for resection of a giant anterior cranial base meningioma had improved processing speed postoperatively and no significant changes in nine other neuropsychological quality-of-life (QOL) indicators in a Cleveland Clinic study presented at the 2019 annual meeting of the North American Skull Base Society. Meningiomas are the most common intracranial neoplasm, representing about 40% of cases. Fortunately, WHO grade I meningiomas tend to have a benign course, especially after surgical resection. Often, however, patients have neuropsychological deficits from the tumor, and little is documented about how patients may improve — or worsen — as a result of surgery. She adds that QOL outcomes are especially relevant for a giant anterior base meningioma (defined as > 4 cm) because patients usually have considerable cognitive impairment preoperatively. Moreover, the surgery itself is not without risk, especially for such large tumors. Traditional bifrontal craniotomies can require significant brain retraction: Cortical infarction is more likely to occur when retraction pressures are above 20 mmHg and are held for longer than 15 minutes. Reported outcomes in the literature with traditional surgery include significant postoperative impairments in neuropsychological measures, such as executive function, verbal memory and information processing. The Cleveland Clinic researchers hypothesized that an extended bifrontal craniotomy would improve neuropsychological outcomes compared with the traditional approach. As shown in the photos below, extended bifrontal craniotomy involves removal of the orbital bar, thereby offering a low trajectory to the base of the tumor, decreasing the need for retraction and reducing edema because of the increased exposure. This pilot study involved 16 patients (10 women, mean age 56.3 years, mean tumor diameter 5.78 cm) who underwent an extended bifrontal craniotomy at Cleveland Clinic from 2016 through 2018. Traditional surgical parameters were evaluated, with 10 patients also undergoing neuropsychological assessment, which was designed and directed by neuropsychologist and coinvestigator Richard Naugle, PhD, of Cleveland Clinic’s Center for Behavioral Health. Six patients had matched pre- and postoperative neuropsychological testing. Preoperative testing was usually performed within a few days of surgery; postoperative testing times varied (median, 90 days postoperatively [range, 84-112]). The most common presenting symptoms preoperatively were cognitive changes (56%), personality changes (50%), anosmia (37.5%), visual deficits (37.5%) and seizures (25%). Five (of six) patients improved postoperatively in overall scores. Processing speed significantly improved postoperatively. Improvement in executive function trended toward significance (P = 0.054). Semantic fluency and attention scores decreased postoperatively, although differences were not statistically significant. Visuospatial memory, verbal memory, phonemic fluency, naming and manual dexterity improved postoperatively, although differences were not statistically significant. Altogether, complete testing would take only about 40 minutes, he notes, while a standard battery of tests takes more than three times as long. Dr. Recinos adds that the proposed tests are not the most challenging in each domain. If a patient performed particularly poorly in any area, further specific testing could be done to ascertain a more precise score.